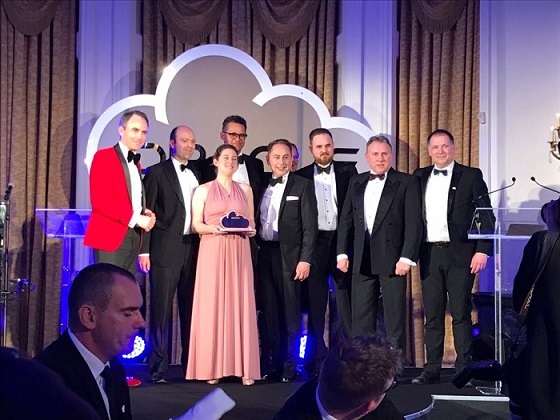 Leading global Oracle Platinum Partner Inoapps (www.inoapps.com) has won the prestigious \-\-Cloud First Partner of the Year Award\-\- at the Oracle UK & Ireland Partner Awards 2018, held at the Landmark Hotel, London. Inoapps had been short-listed in an impressive five categories at the awards. The \-\-Cloud First\-\- Award is presented to the partner that consistently puts \”Oracle Cloud\” first with its customers and that also gives them a choice of deployment routes. The award recognises outstanding performance in helping customers with their cloud strategy, whatever stage they are at in their journey to the cloud and the partner\-\-s ability to communicate this message through its marketing, business development activities and account management. Overall, the Awards recognise the highly successful relationship Oracle has with its leading Partners, and acknowledges those that have demonstrated outstanding innovation, commitment and achievement over the past twelve months. This award is the latest in a string of successes for Inoapps, following receipt of Oracle Partner awards in the previous 3 years. These are clear recognition of Inoapps\-\- growing global expertise and experience, coupled with its ability to offer a choice to customers of how to run their applications in an Oracle Cloud. Commenting on the Awards, Andrew Norris, European Region Leader at Inoapps noted: \”We are delighted to have won the Cloud First Partner of the Year Award. As to be expected, there was a lot of competition from other large system integrators in this category, so it is an honour to receive this accolade. Combined with our other awards in recent years, this is recognition from Oracle of our abilities as a centre of Cloud Excellence. The award also reflects the strength Inoapps has in delivering a range of outstanding and innovative Oracle solutions across applications and technology.